EXTREMELY FINE GEM. A PHENOMENAL MINT NEVER-HINGED EXAMPLE OF THE 1894 5-CENT UNWATERMARKED BUREAU ISSUE, GRADED XF-SUPERB 95. EXTREMELY FINE GEM. A MAGNIFICENT MINT NEVER-HINGED EXAMPLE OF THE 1894 6-CENT UNWATERMARKED BUREAU ISSUE, GRADED SUPERB 98 BY P.S.E. THIS IS THE HIGHEST GRADE AWARDED. EXTREMELY FINE. 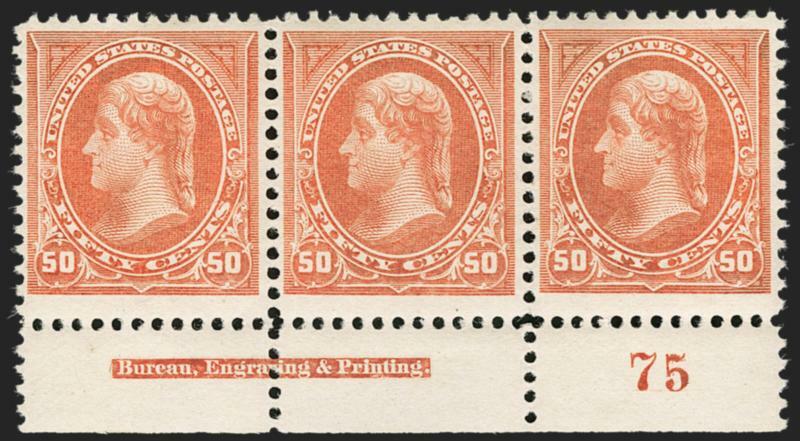 AN OUTSTANDING MINT NEVER-HINGED PLATE STRIP OF THE 50-CENT 1894 UNWATERMARKED BUREAU ISSUE. 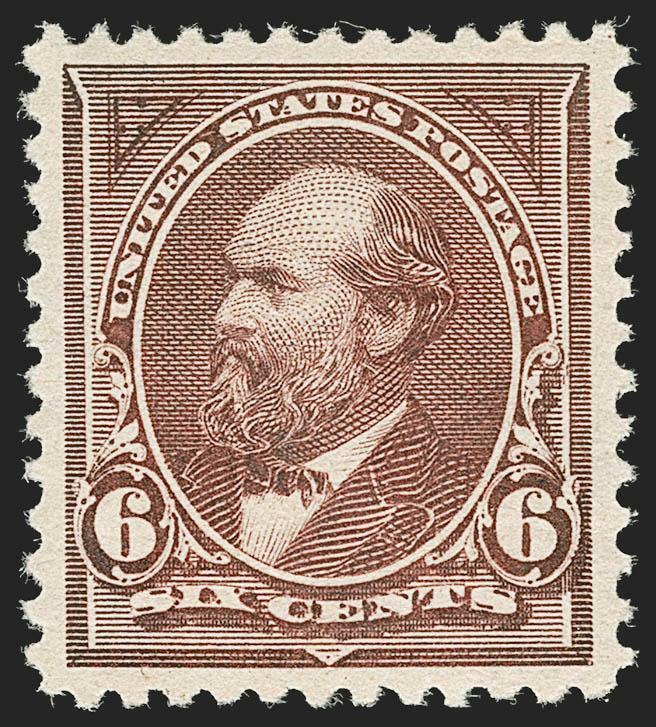 The 1894 Issue was the Bureau of Engraving and Printing's first effort at regular stamp production, and they experienced difficulty in applying perforations. 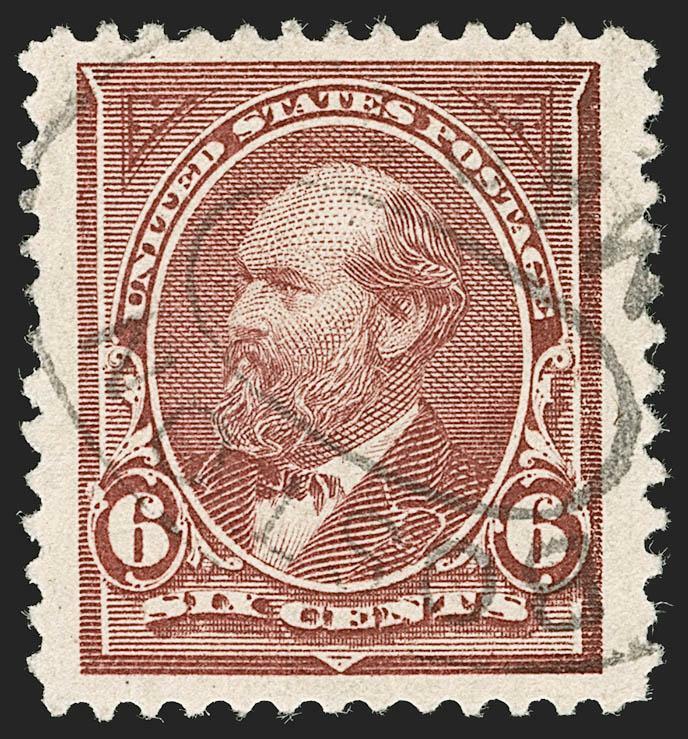 This problem, coupled with the fact that only small quantities of high values were printed before watermarked paper was introduced (only 175,000 of the 50c), accounts for the rarity of 50c and dollar-value 1894 Unwatermarked Bureau stamps in choice condition. Plate number multiples are exponentially rarer, and this is perhaps the finest 50c 1894 we have handled. Using Power Search, we located one other Mint N.H. strip, a top position with similar centering.